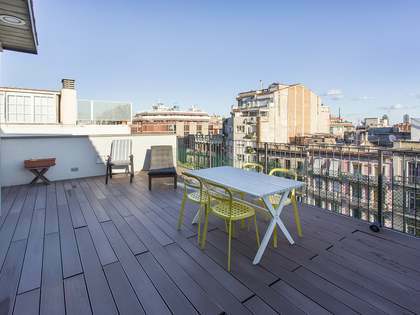 Renovated 2-bedroom apartment with a tourist licence for sale in Eixample Right, within Barcelona's Golden square. 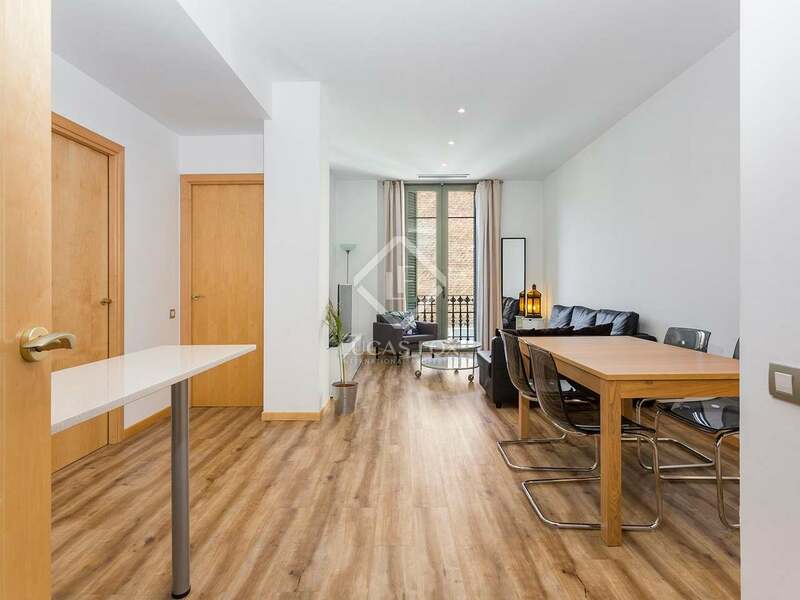 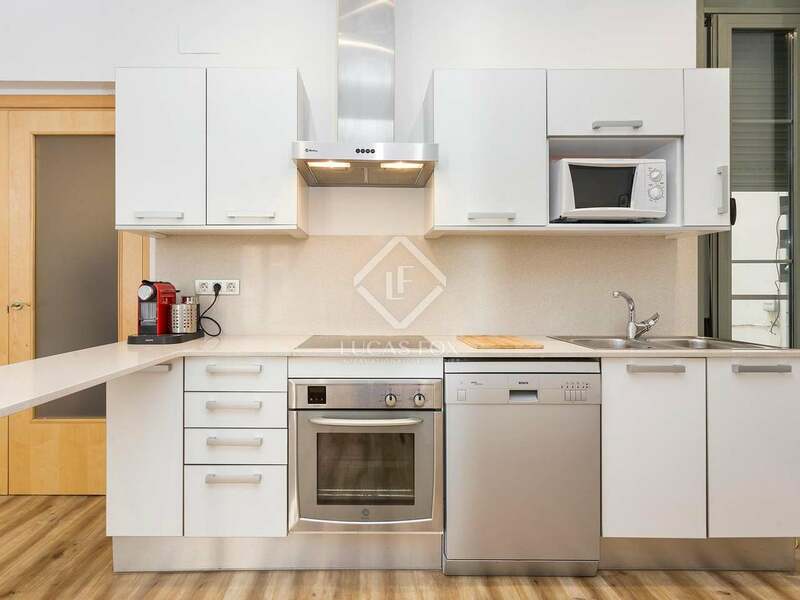 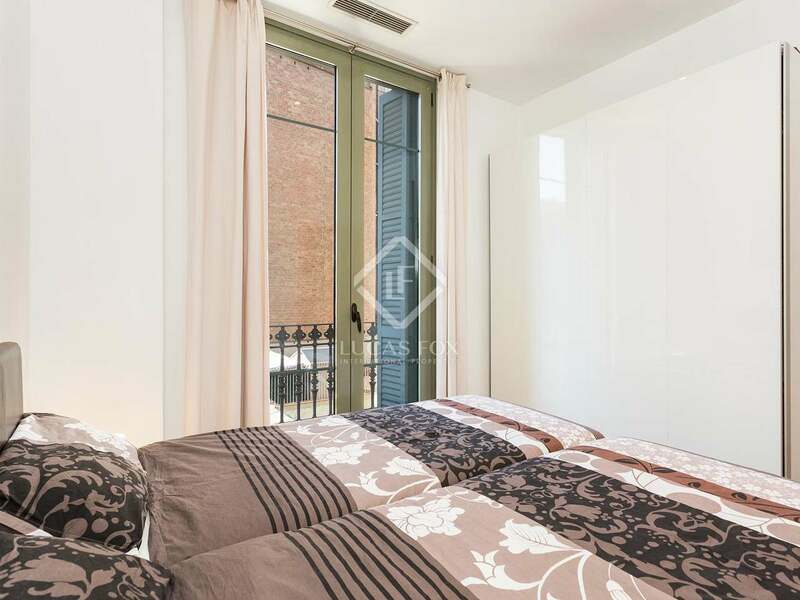 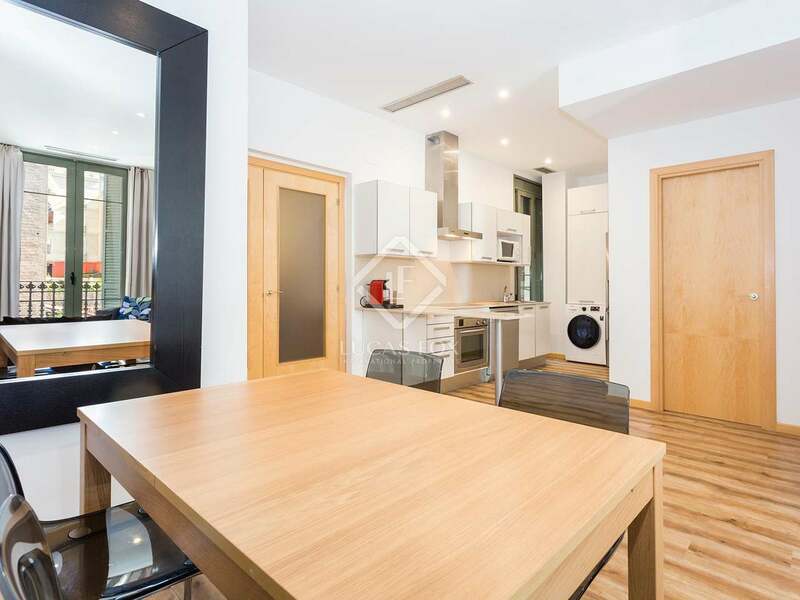 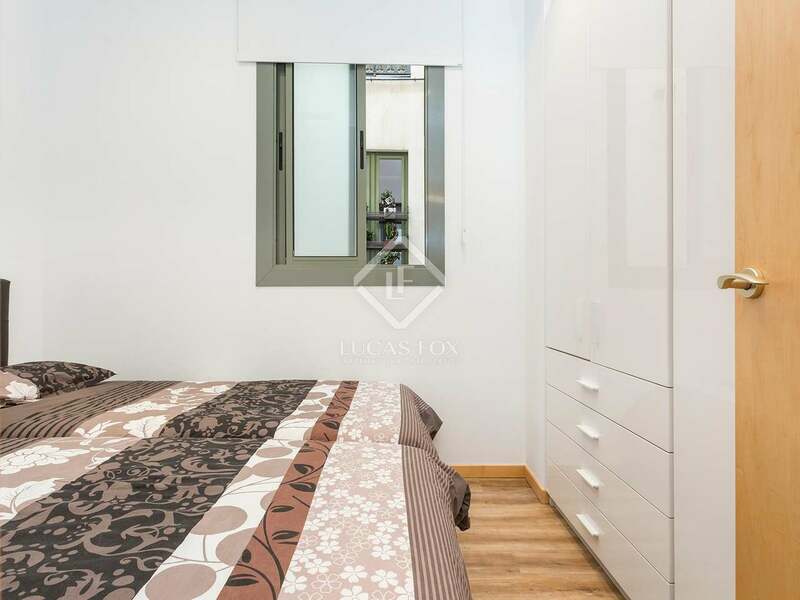 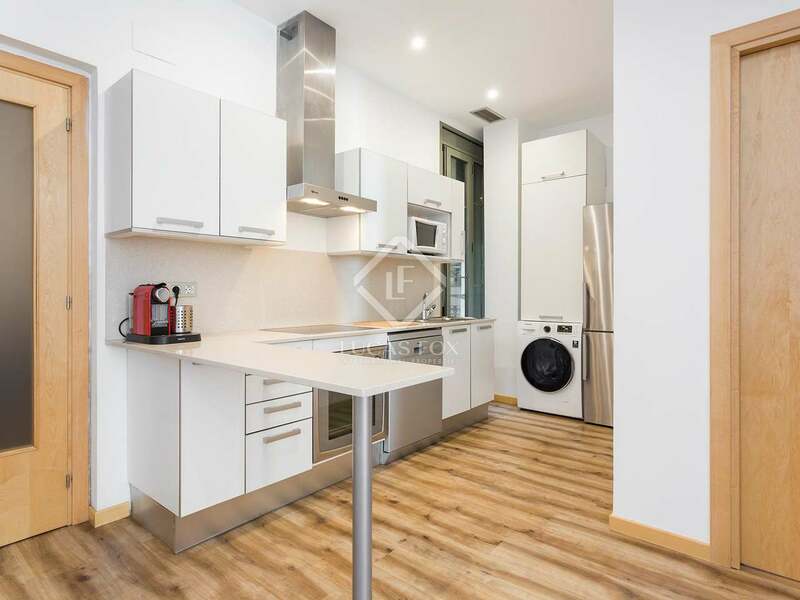 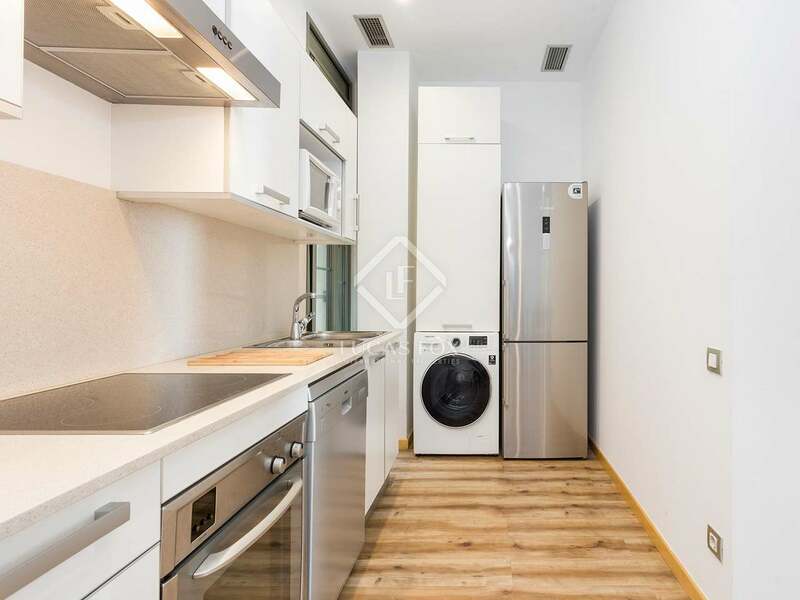 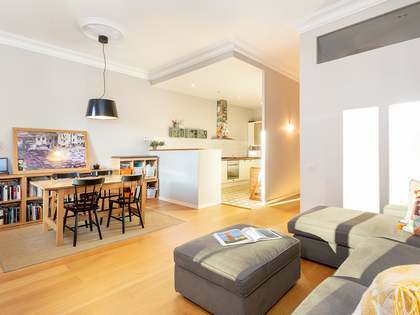 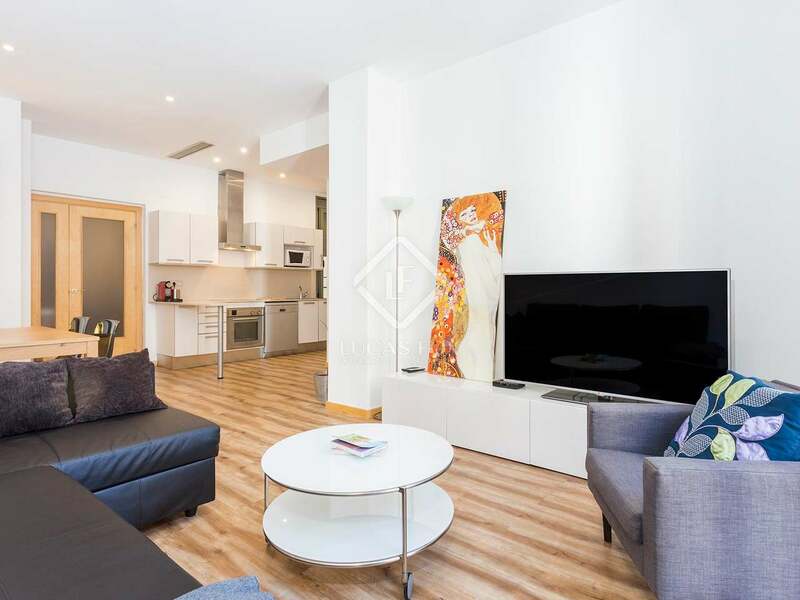 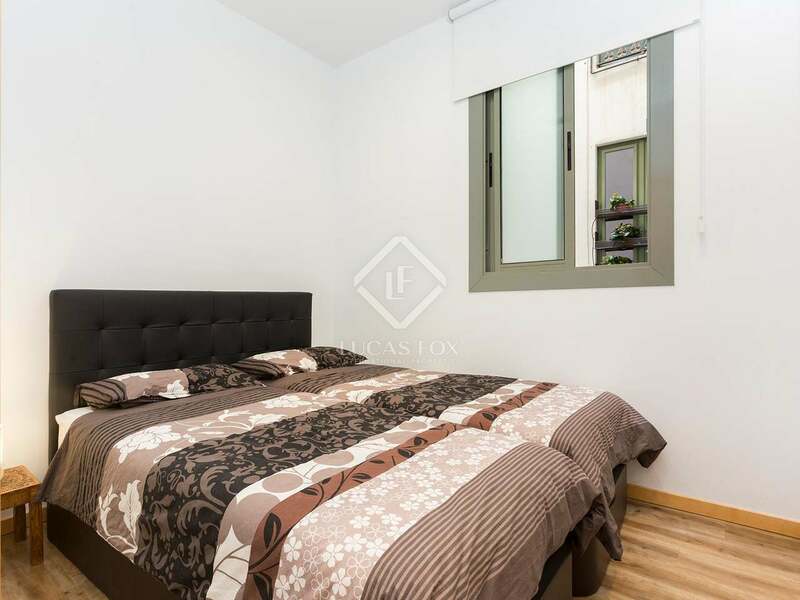 We find this attractive 2-bedroom apartment located very near Passeig de Gracia and Plaça Catalunya in Eixample Right. 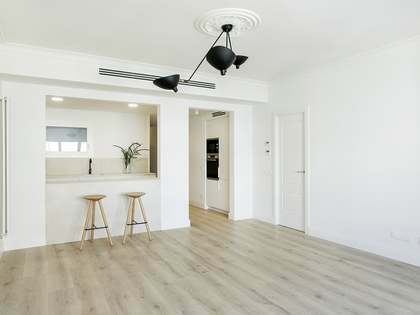 The property benefits from a central, yet quiet location. 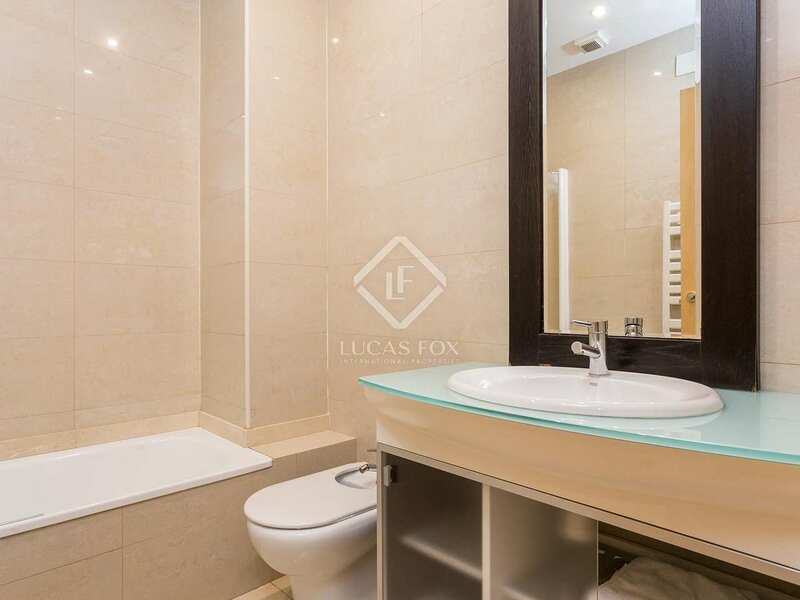 It is on the second floor of a stately building with a beautiful entrance hall and a lift. 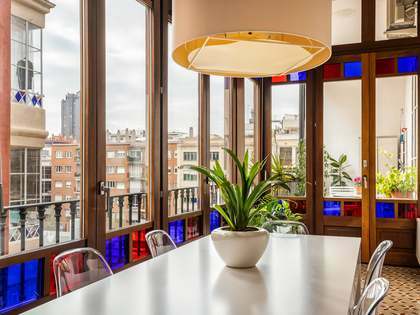 The apartment has an approximate built surface area of 70 m², officially registered as 67m², and has been renovated whilst maintaining the original Modernista period features. 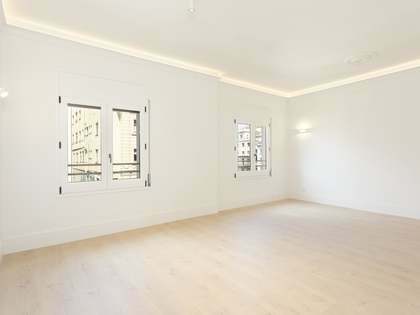 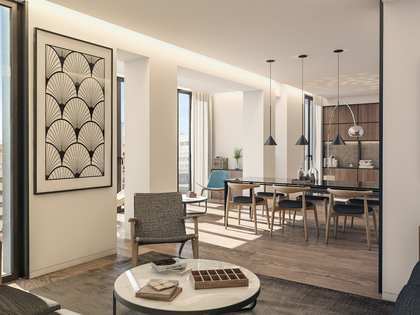 It has wooden floors, high ceilings and tasteful neutral decor. 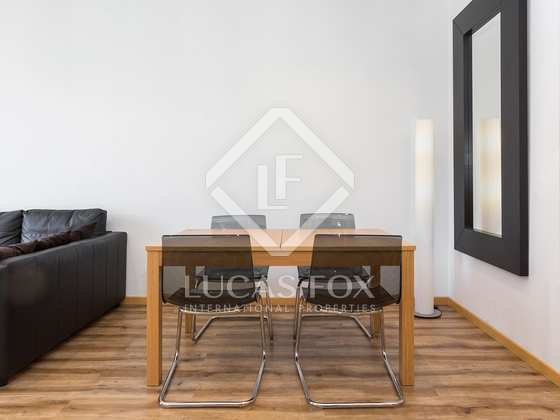 There is a spacious living room – dining room, an equipped kitchen, 2 double bedrooms and a bathroom with a bathtub. 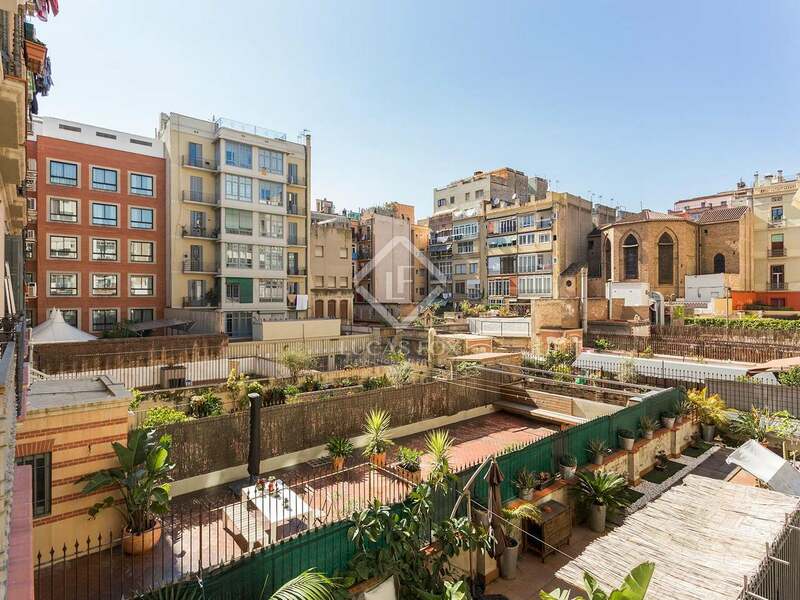 The property is peaceful and overlooks an interior block patio. 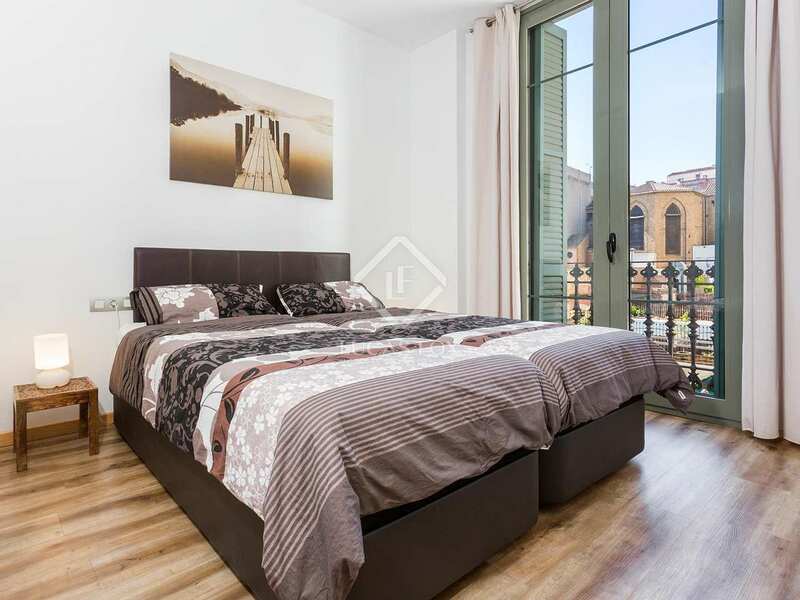 Ideal as a second home in the city or as an investment given its 5% potential rental yield. 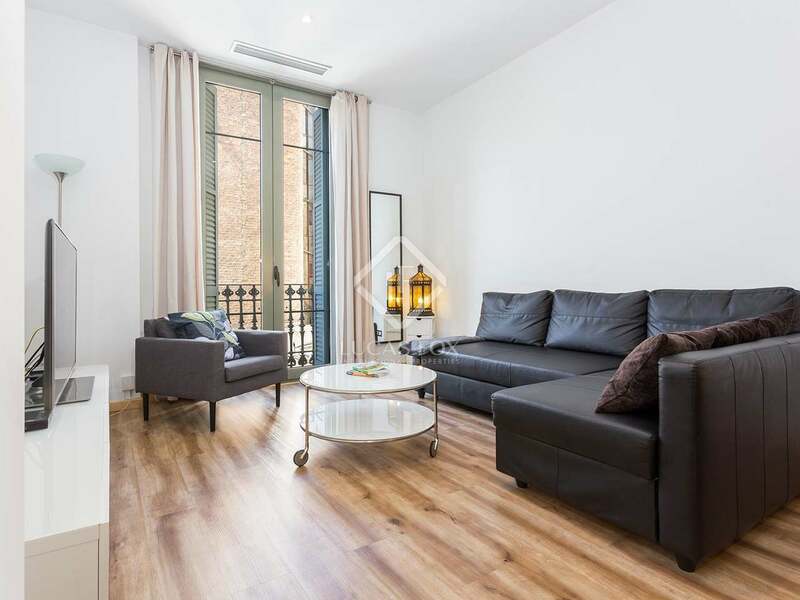 Apartment in an excellent location in Eixample Right, located next to Arc de Triomf and Passeig Sant Joan, very near Passeig de Gracia and Plaça Catalunya.